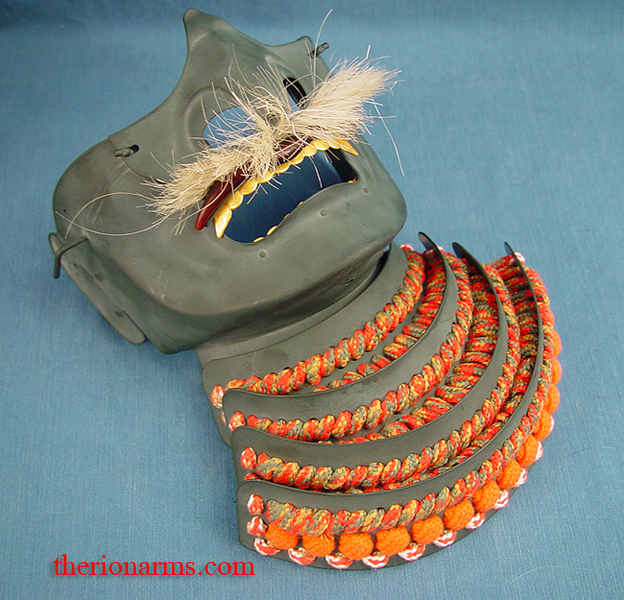 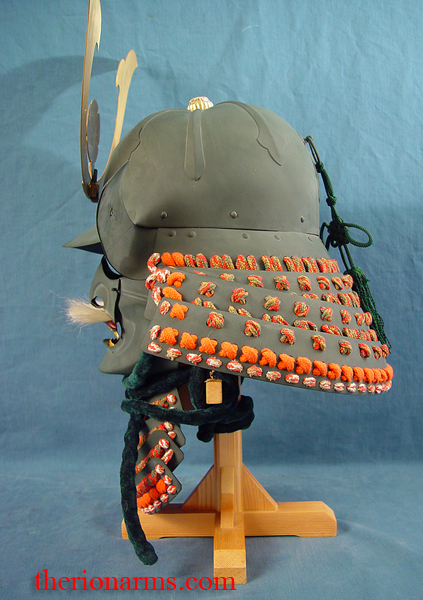 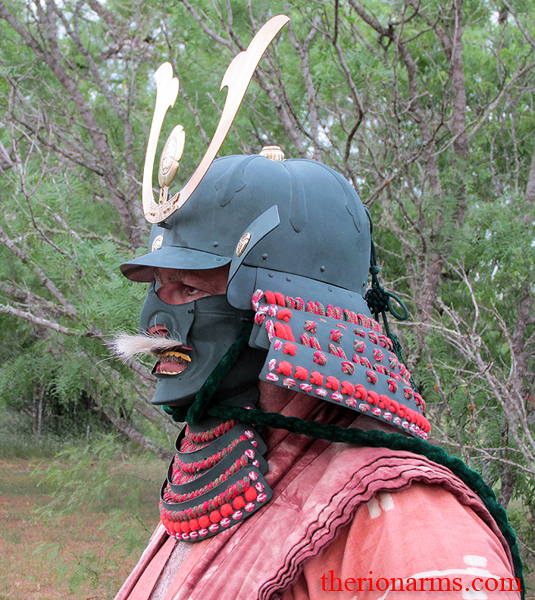 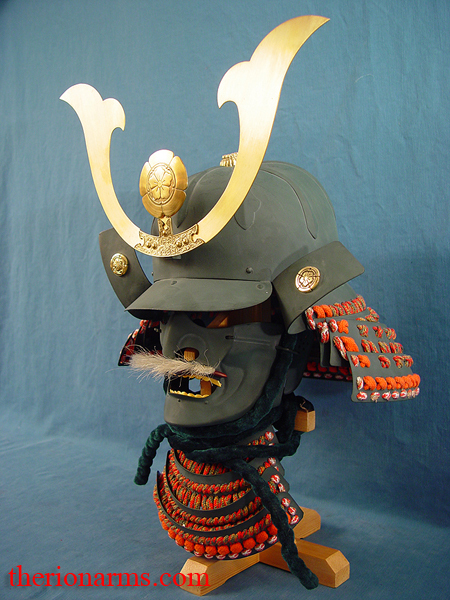 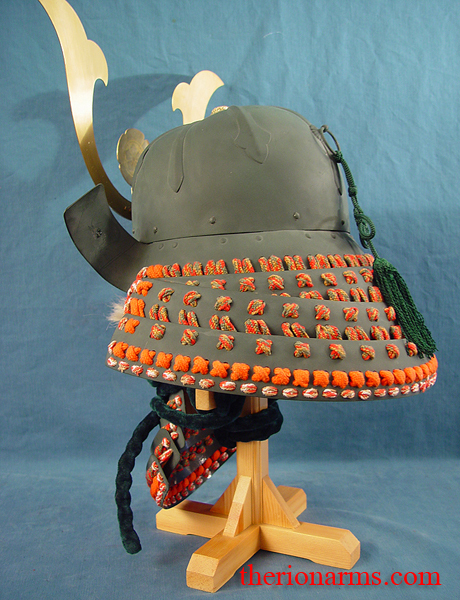 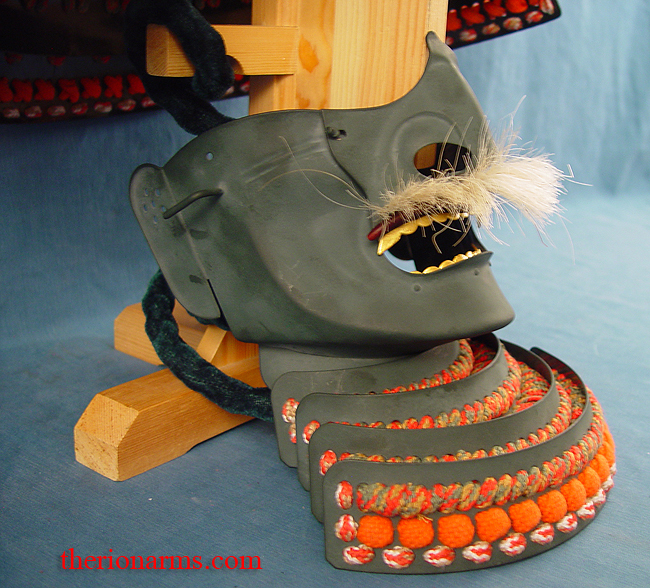 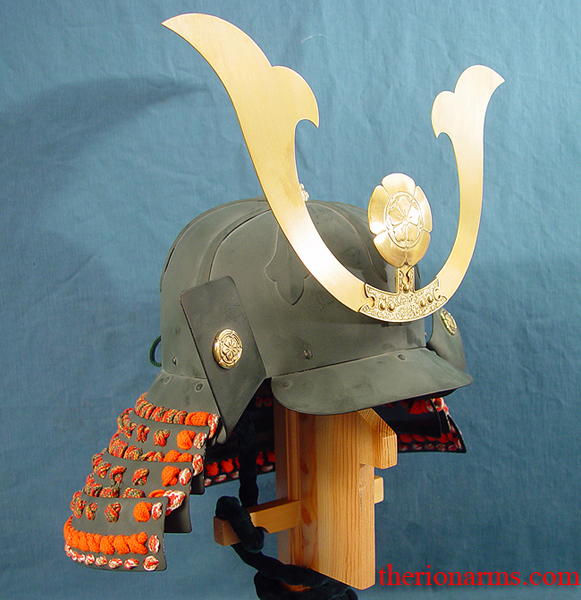 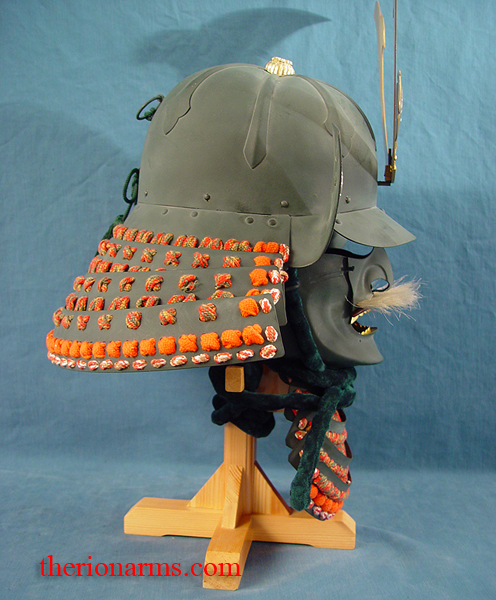 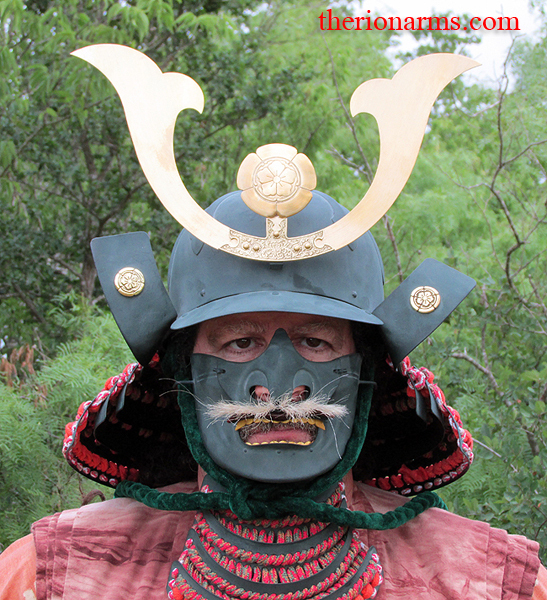 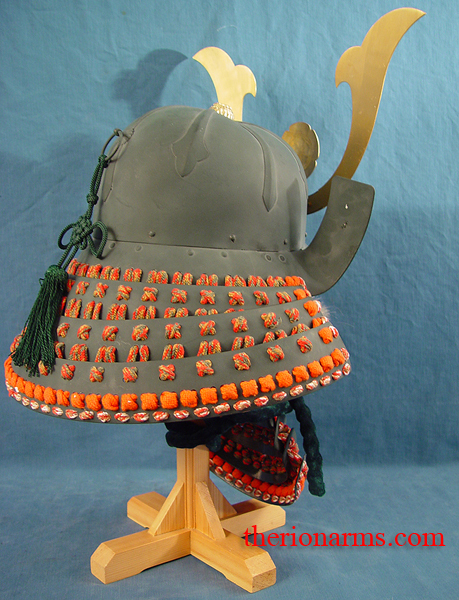 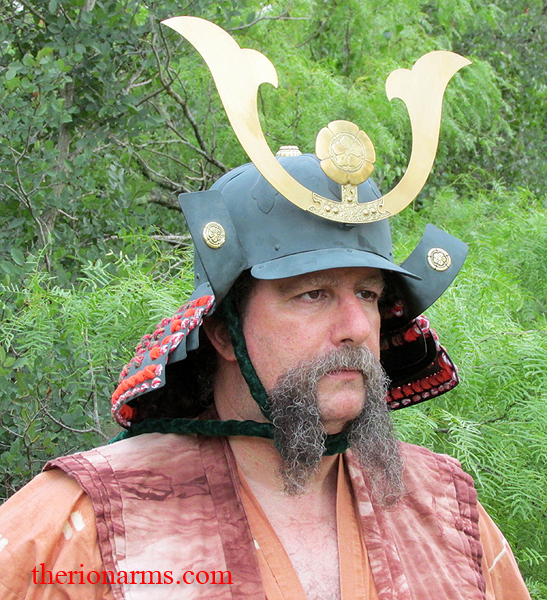 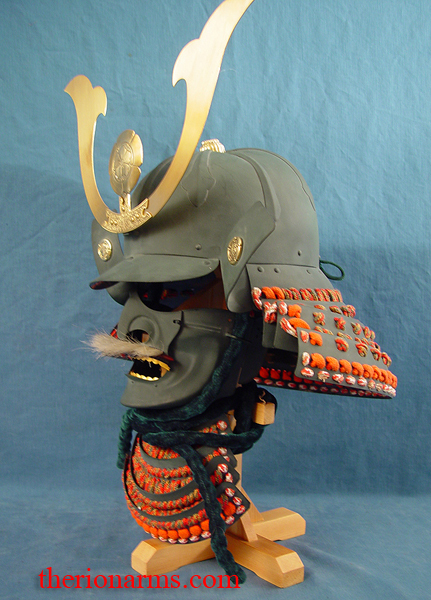 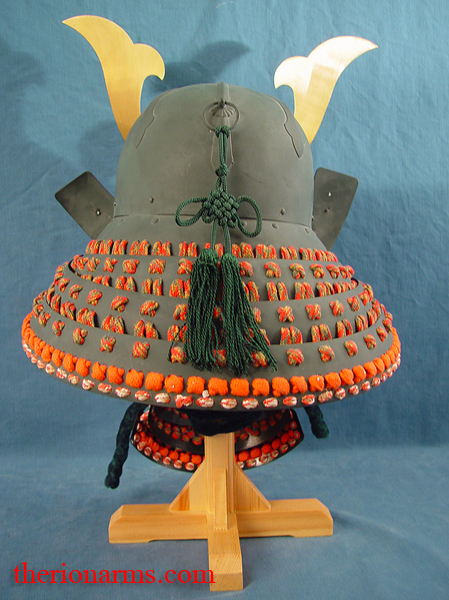 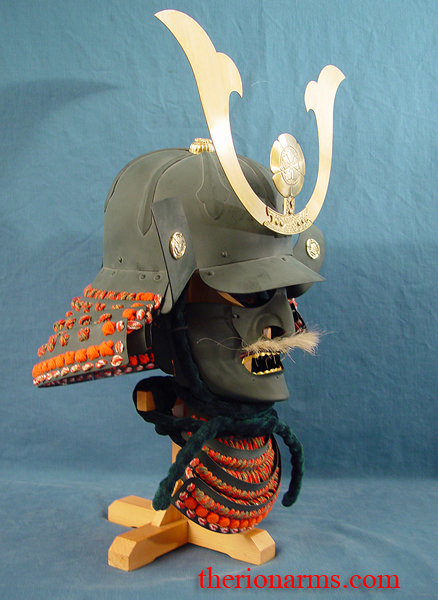 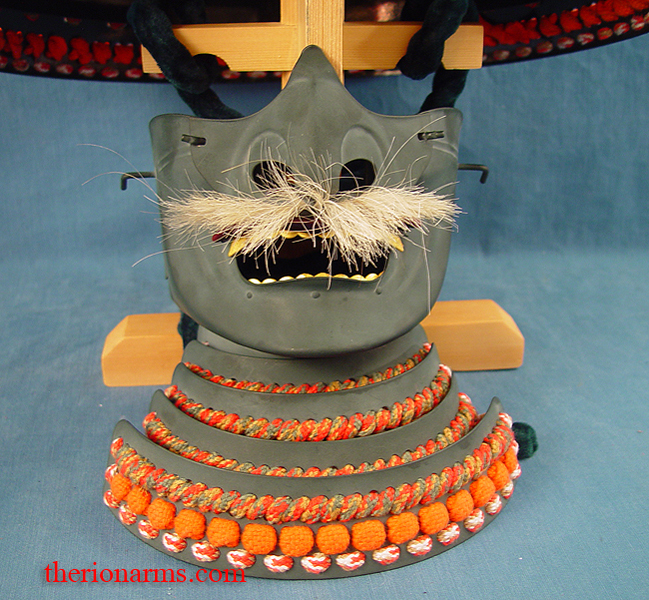 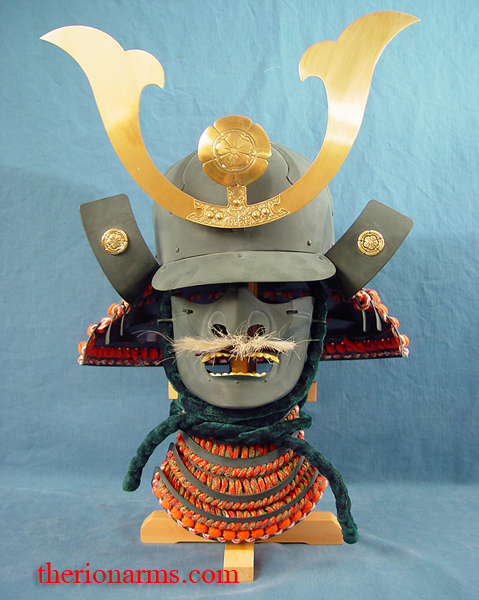 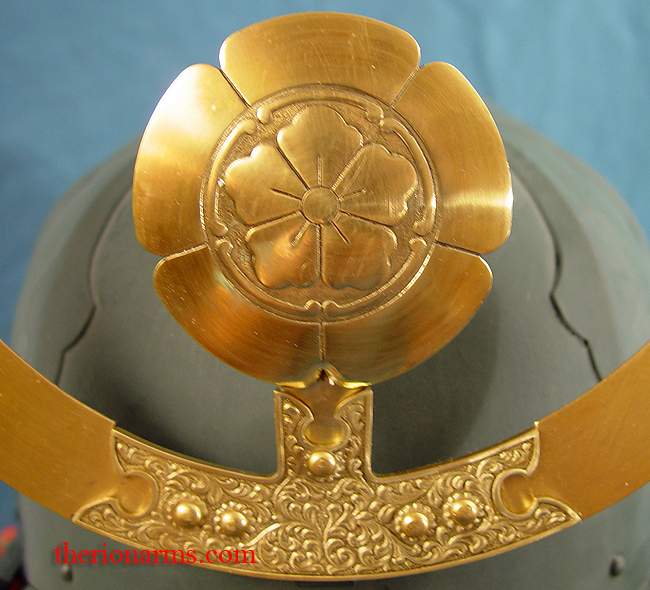 Japanese kabuto with mempo (helmet with separate face mask), copied from a helmet worn by warlord Oda Nobunaga. 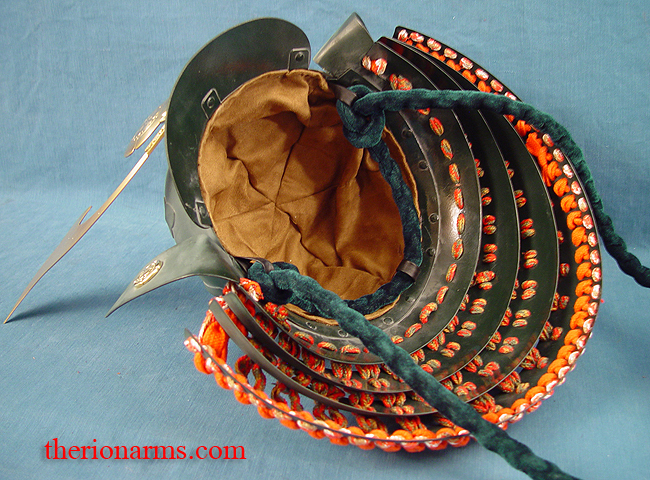 Lacquered 18ga steel construction with leather liner. 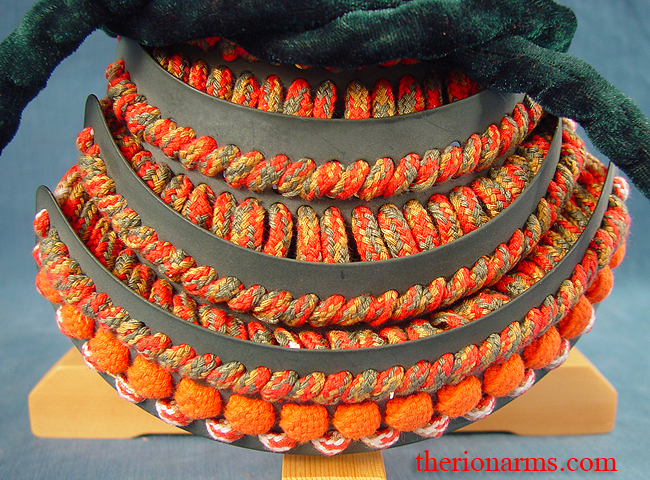 Fully wearable or a great decorator item. 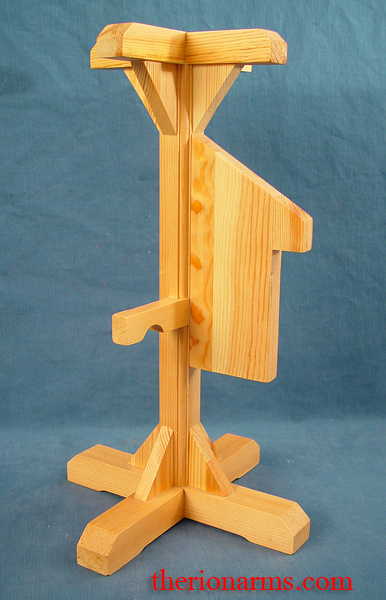 Comes with wooden display stand. 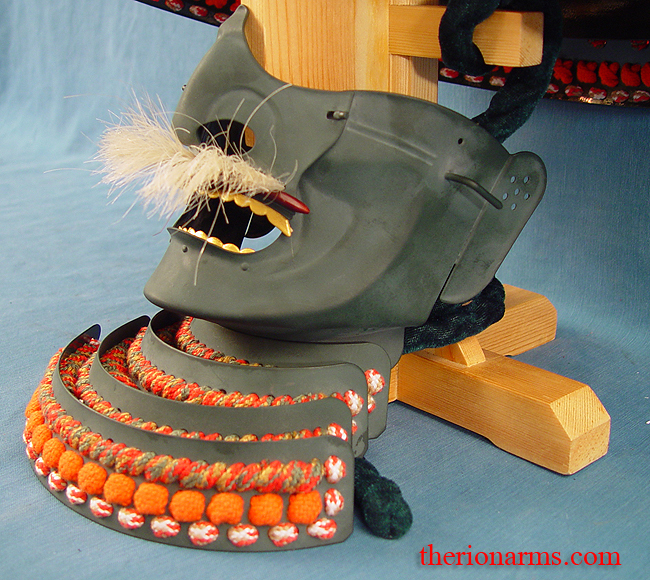 This is a hand crafted museum-quality reproduction. 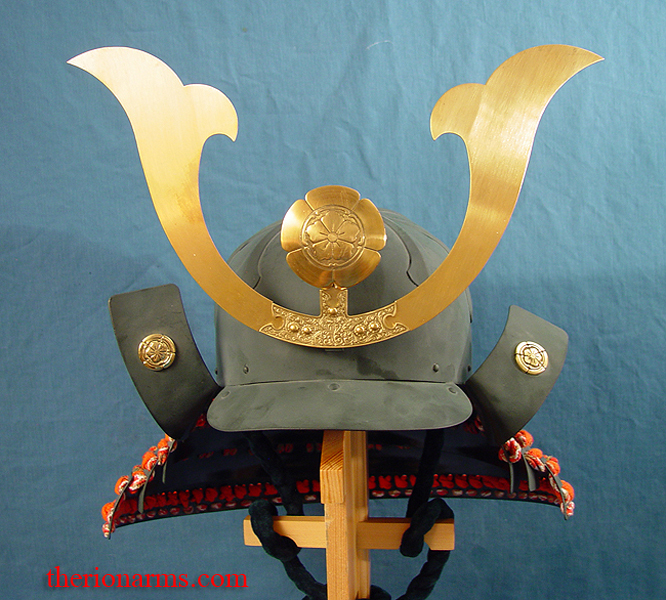 Also available is a matching Oda Nobunaga katana.